If you’re like me, you’ve been seeing ads for a site called Rakuten, which bills itself as a site where you can shop your favorite online stores and get cash back. Sounds too good to be true, doesn’t it? Is Rakuten a scam? Rakuten is the rebranding of the website Ebates, a cash back shopping site that’s been around for years. I’ve had an account since 2007. Rakuten purchased Ebates about five years ago, and they’re finally starting the rebrand. So while the name is new, the program is not. You create an account at Rakuten.com. From there, you use their website or their app to find the store where you want to shop. Connect through to the shop, and then shop like normal. You can also install the Rakuten button in Google Chrome. Different shops will have different cash back percentages, sometimes as low as 1%, sometimes as high as 8% or more. Within a few days of your purchase, the cash back amount will be applied to your account. Every quarter, you will receive your cash back rebate to your PayPal account or by physical check. To qualify for a payment, you need to have earned $5. Otherwise, your cash back will roll over to the next quarter. 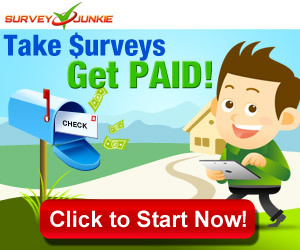 There are a lot of online businesses out there and they all want your money. These businesses pay Rakuten for referring you their sites. Rakuten then pays you some of that money (and keeps some for themselves – businesses have to make money, of course). There are other sites that do similar things. For example, I know that Southwest Rewards has a shopping portal where you can earn miles. Personally, I like the cash back option. Do they really pay you? From personal experience, I can say yes. Absolutely, yes. Rakuten is not a scam at all. I have had an account since 2007 and have earned over $1300 in cash back rewards, just for purchases I would have made anyway. Anytime I shop online, I check whether or not the store is on Rakuten/Ebates. It’s a simple added step that has clearly been worth my time. So if you shop online, I definitely recommend checking out Rakuten. After all, who doesn’t want to get a little bit of money back?